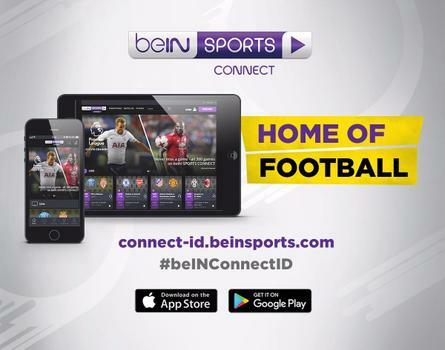 beIN Asia Limited (HK) (“we” or “us”) is a provider of subscription sports programs and related content (including via apps). In order for us to effectively provide our services to customers, we collect certain personal data or personal information as defined by applicable law ("personal information"). We recognise that your privacy is very important to you and we are committed to protecting your personal information. This policy applies to personal information we handle about our customers, including subscribers to our pay TV and online sports channels, visitors to our website, users of other services we may from time to time provide, and members of the public ("you" or "your"). It provides information about the personal information we collect and the ways in which we use that personal information. Your name, date of birth, address, telephone number, e-mail address, bank details and credit card details. Public information and posts consisting of comments or content that you post using our services and the information about you that accompanies those posts or content, which may include a name, user name, comments, likes, tweets, status, profile information and picture(s). Such public information and posts are always public, which means they are available to everyone and may be displayed in search results on external search engines. Activity Information – cookies and other technologies. When you access and interact with our services, we may collect certain information about those visits. For example, in order to permit your connection to our services, our servers receive and record information about your computer, device, and browser, including potentially your IP address, browser type, and other software or hardware information. If you access our services from a mobile or other device, we may collect a unique device identifier assigned to that device, geolocation data, or other transactional information from that device. Cookies and other tracking technologies (such as browser cookies and local storage, pixel beacons, and Adobe Flash technology including cookies) are comprised of small bits of data or code that often include a de-identified or anonymous unique identifier. Websites, apps and other services send this data to your browser when you first request a web page and then store the data on your computer so that such websites, apps and other services can access information when you make subsequent requests for pages from that service. These technologies may also be used to collect and store information such as pages you have visited, content you have viewed, search queries you have run and advertisements you have viewed in relation to your usage of our services and other websites you have visited. Third parties that support our services by serving advertisements or providing services, such as allowing you to share content or tracking aggregate data relating to our services such as usage statistics, may also use these technologies to collect similar information. We do not control these third-party technologies and their use is governed by the privacy policies of those third parties using such technologies. Most browsers are initially set to accept cookies, but you can change your settings to notify you when a cookie is being set or updated, or to block cookies altogether. Please consult the “Help” section of your browser for more information. Users can manage the use of Flash technologies, with the Flash management tools available at Adobe’s website. Please note that by blocking any or all cookies you may not have access to certain features, content or personalization available through our services. Information from Other Sources. We may supplement the information we collect with information from other sources, such as commercially available sources and data providers, as well as information from our business partners or related and affiliated companies in Indonesia or internationally. We may also collect personal information about individuals who are, or are employed by, our suppliers (including service and content providers), contractors, dealers, related companies, agents and corporate customers. Generally, if appropriate, we will state why we are collecting personal information, when we collect it and how we plan to use it, or these things will be obvious when we collect the information. when we request certain information from subscribers for a specific purpose. Our website may use “cookies” (these are files that are implanted in your hard drive by some websites to store information about your web use patterns) to enhance or personalise our website services. These cookies may also be used to collect and store information about your usage of our website. We may in any case collect anonymous information that allows us to review information about the date, time and duration of visits to our website without identifying you. This information is generally automatically provided to us by your web browser. We also have access to information that is collected by or made available on third party online media platforms, including online social media platforms. If you operate an online media account, we may collect your user name associated with that account, and any other information or content you have made public in connection with that online media service or otherwise permit the online media service to share with us. Such information or content may include personal information. If you provide personal information to us about someone else, such as an employee, you must ensure that you have their consent to disclose their information to us. You should also ensure that you take reasonable steps such that the individual concerned is aware of the various matters dealt with in this policy. You consent to work-related personal information of your employees being used and disclosed as set out in this policy. The primary purpose of the collection of personal information is to maintain our database of customers, viewers of our channels and customers of our services so that we may effectively communicate with you (including by way of push notifications), provide our services to you and, if relevant, facilitate receipt of payments from you. We may also use your personal information to send you communications and contact you (including by way of push notifications) about our services, programs, events, campaigns, functions or news updates that may be relevant or of interest to you. From time to time we may also send you communications and information about third party products and offers. We will not send you promotional and marketing communications and/or push notifications unless we have obtained your prior consent at the time you subscribe to our products and/or services. If you subsequently do not wish to be contacted for these purposes you can let us know at any time by contacting us at the details below. Every commercial electronic communication sent by us will contain a functional unsubscribe facility or otherwise allow you to easily opt out of such communications. We will use your personal information as set out above when we are providing services to you directly or when you are viewing our channels on a platform delivered by a third party. We may aggregate personal information of our customers for reporting and statistical purposes. This allows us to better inform ourselves of our customers’ preferences and requirements, and to enable us to monitor the effectiveness of and constantly improve our website and our services. If we disclose aggregated information to third parties it will not contain any personally identifiable information. So that we may use your information for the purposes identified above, we may disclose it to external providers of services, for example, providers of security, marketing and technology services. We may also outsource certain functions of our business, including customer relationship management and management of our database. We may disclose personal information to third party companies and partners with whom we have a relationship including third party platform operators who make our channels available to their subscribers. We may do this for instance to investigate or promote new products, services or offers which we think may be of interest or benefit to you. We will not disclose personal information for such purposes without first obtaining your consent. Information that we collect, particularly information collected from third party online media platforms, may be disclosed to advertising and media agencies which undertake customer profiling and matching on our behalf to enable us to identify potential customers for marketing purposes. You may withdraw your consent to use your personal information at any time. To withdraw this consent please contact us at the details below. Please note that withdrawing your consent may mean that we are unable to provide you with certain services. If you use one of our apps and/or access one of our websites, the following provisions relating to our use and collection of data and software development kit or tools (“SDKs”) will be relevant to you. We may work with partners who use mobile SDK to passively collect information (“SDK Information”), which generally helps us deliver personalized notifications. This data may also be used to identify you in a unique manner across other devices or browsers for the purposes of customizing ads or content. Depending on the permissions you grant to the applicable app, this information may include personal information including your e-mail address. This information may also include precise location (i.e. GPS-level data) or WiFi information, apps you have installed and enabled, and your mobile identifier (e.g., Android Advertising ID). Who collects and operates SDK Information and where exactly will it be hosted? SDK Information is collected by our partners and may be hosted securely outside of Indonesia. How is SDK Information used? We share the SDK Information with service providers, contractors and other companies to fulfil your orders, operate our business, communicate with you and make available our services (including our website and our apps). For instance, we may share certain of the information we collect or receive with companies that help us with billing and payment, marketing, advertising and email marketing, data enhancement (e.g., to provide more relevant offers), website hosting, technology and customer support, web and marketing analytics, anti-fraud or security operations, and other operational, marketing or business support. Sharing SDK Information with advertisers and their marketing providers, so they may provide targeted content and advertising to you on websites and mobile applications. Sharing SDK Information with other third parties that target advertising. For those familiar with the online ad ecosystem, these may include demand-side and supply-side advertising platforms, data management platforms, advertising agency trading desks, proximity solution providers, and other advertising technology providers, so they may provide targeted content and advertising to end users and others on third-party websites, mobile applications, and other advertising mediums (email, direct mail, display media), and so that they may measure the effectiveness of this marketing. We may work with service providers who, to enhance consumer privacy, use a non-human readable “hashed” version of Information such as an email address when sending advertising offers by email or display advertising (which may be linked to a cookie as described above). We may provide information (such as IP address, but excluding precise lat/long coordinates) to third party platforms to help advertisers identify common users across different devices or browsers – for instance, to identify a common set of users on both mobile devices and tablets, as well as the web. What is the purpose of this collection and processing? develop and use “predictive models” – data models that try to predict subscriber’s potential future behaviour and interests on a per-device basis or across devices. We will not use or share personal information with others for marketing and advertising purposes as described above without first obtaining your consent. What are the measures in place to insure security and confidentiality of application user’s information? We have and our partners have administrative, technical, and physical safeguards in place in our physical facilities and in our computer systems, databases, and communications networks that are designed to protect information contained within our systems from loss, misuse, or alteration. No method of electronic transmission or storage is 100% secure. Therefore, we cannot guarantee absolute security of your personal information and non-personal information. Your choice to opt out of “Notifications” from our mobile SDK partner will not affect ads placed by any other organization. Personal information that we collect may be transferred and stored outside of Indonesia between any of the countries in which our service providers operate. Your personal information may also be transferred to a parent entity or related entity located overseas. Once in our possession, we take all reasonable precautions to protect the personal information we hold about you from misuse, interference and loss and unauthorised access, modification or disclosure. We use a number of technological mechanisms to provide a secure environment. For example, we require our third party payment processers to have measures in place (including encryption technology) to protect the security of credit card details. However, no data transmission over the Internet can be guaranteed to be completely secure. We therefore cannot warrant the security of any information you provide to us over the Internet and you do so at your own risk. We aim to ensure that your personal information is accurate, complete and up to date. To assist us, please contact us via the details below if any of your details provided have changed or if you believe that the information we hold is inaccurate. You may request us to provide you with access to the personal information we hold about you at any time. We will respond to your access request as soon as possible, however, prior to disclosing any such information it will be necessary for you to satisfactorily verify your identity. There are exceptional circumstances where access to or correction of your personal information may be refused by us such as where access would be unlawful. We will advise you of such circumstances if they arise. •resolve your query or complaint within 10 business days. This policy may be updated from time to time and we recommend that you review it regularly for changes.